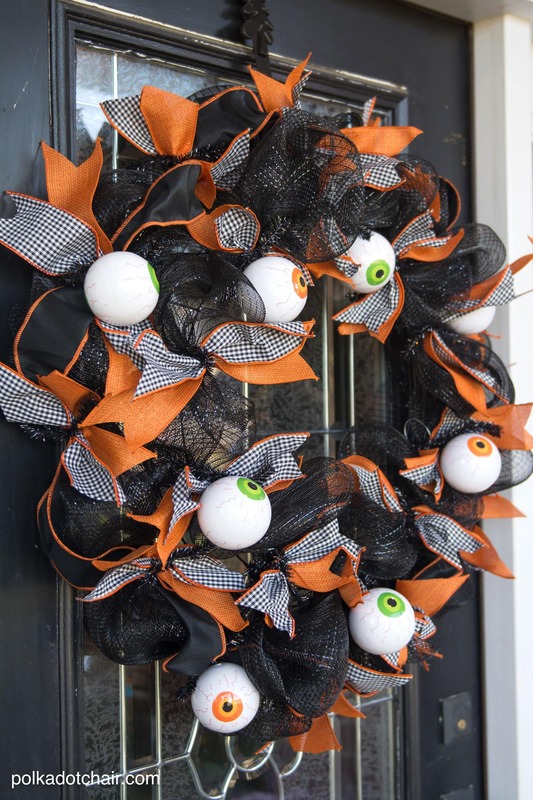 Today I’m going to show you how to make a Halloween Eyeball Geo Mesh Wreath using geo mesh and ribbon. 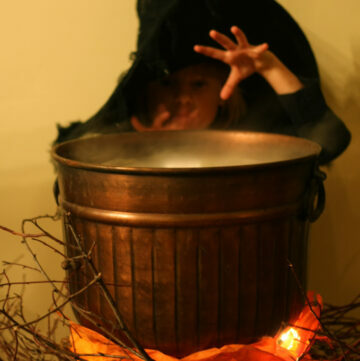 If you like this project you may also like to see how I hung Witch’s Hats on my front porch as a Halloween decoration. 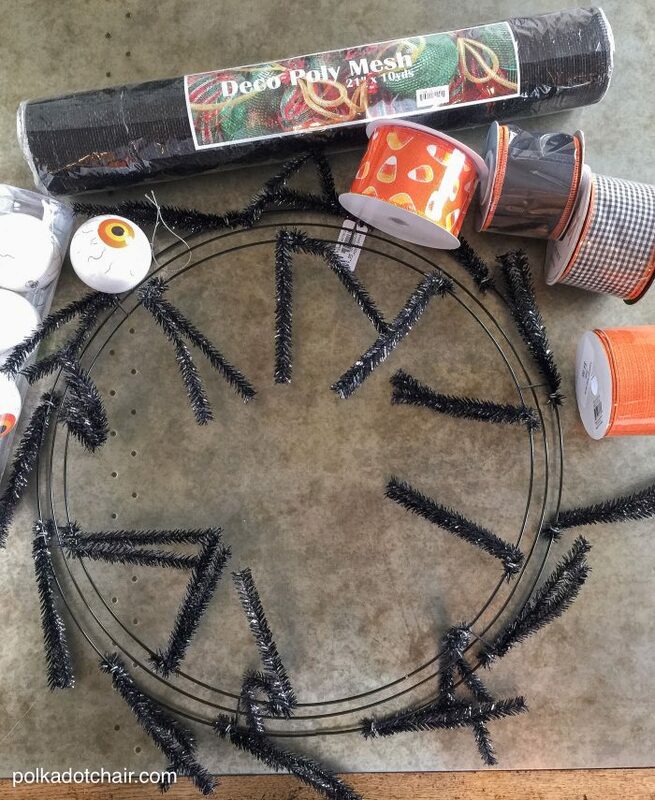 It seems like every year I make a new wreath for my front door for Halloween. 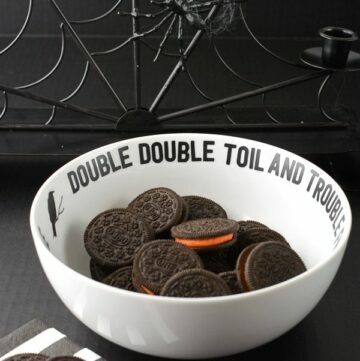 I don’t know why something about Halloween just brings out my crafty side. 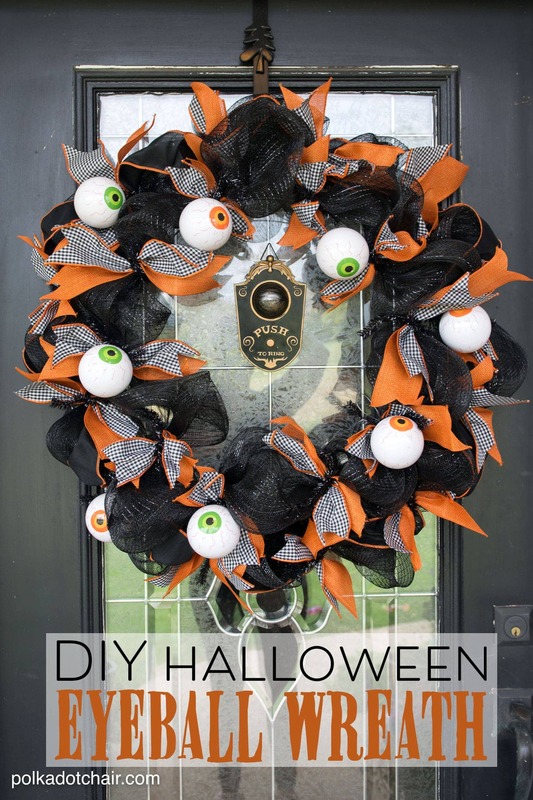 Usually, it starts because I decide the wreath I made for the previous year won’t hold up well outside, and I want to make one that’s okay to use on the outside of the front door. Then I decide I don’t want to hang it outside and I’m back to the drawing board. 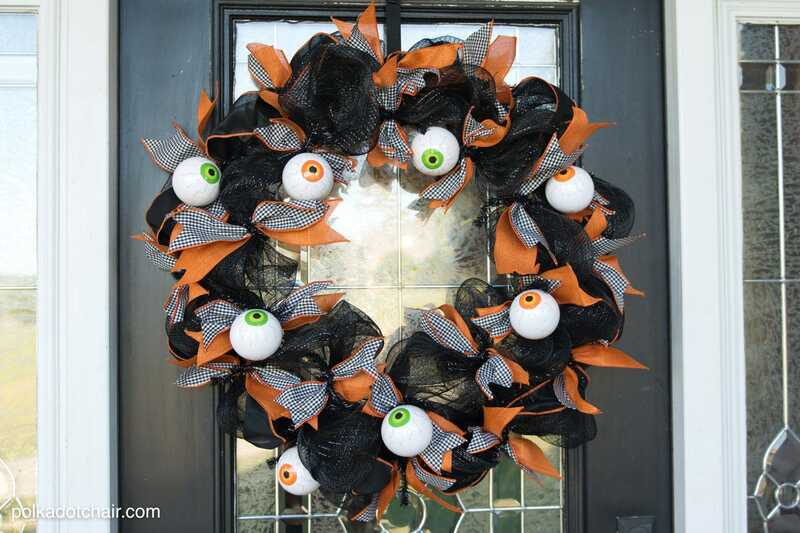 This year my contribution to my Halloween Wreath collection is this Eyeball wreath made out of geo mesh and ribbon. 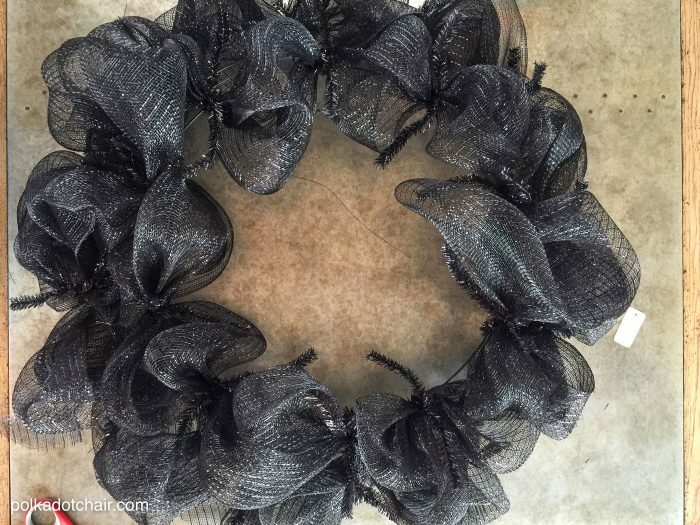 There is a local craft store that always makes the cutest geo mesh wreaths but I always looked at them and thought they were way to hard to make. A few weeks ago I asked the lady working there if she could show me how to start making a wreath. She gave me a quick explanation and I went “DUH”. 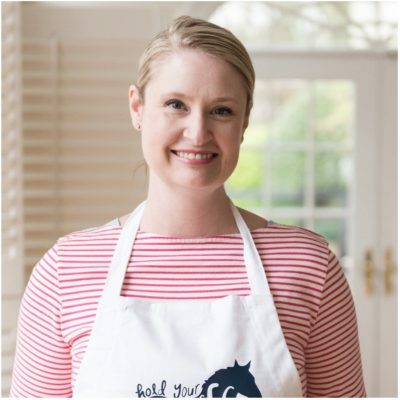 These things are crazy easy to make, I don’t know why I haven’t tried it before. 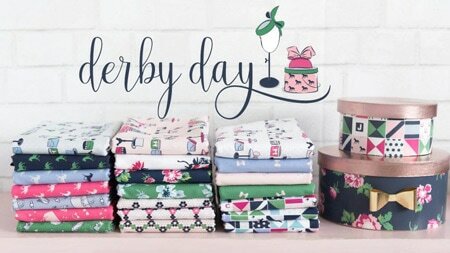 Ready to make one? 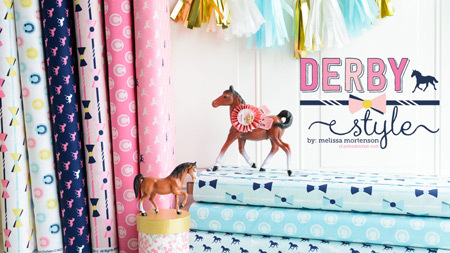 Grab a few friends and have a nice wreath making “crafternoon”. 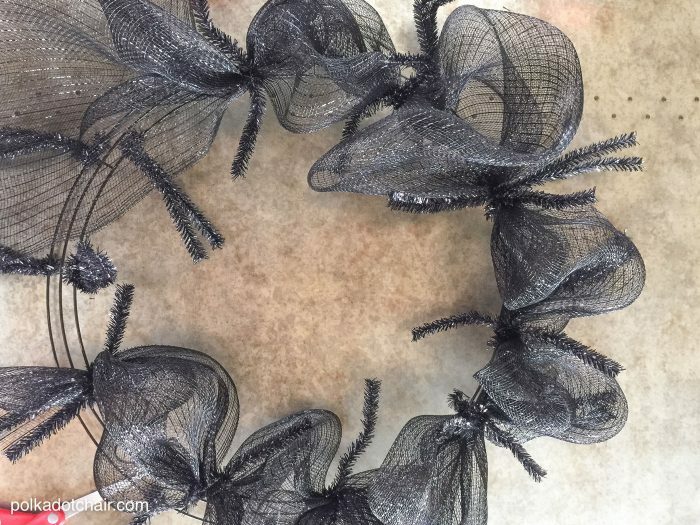 The work wreath frame has pre-attached pipe cleaners, you are basically going to twist them around the geo mesh in going around in a circle around the entire wreath. 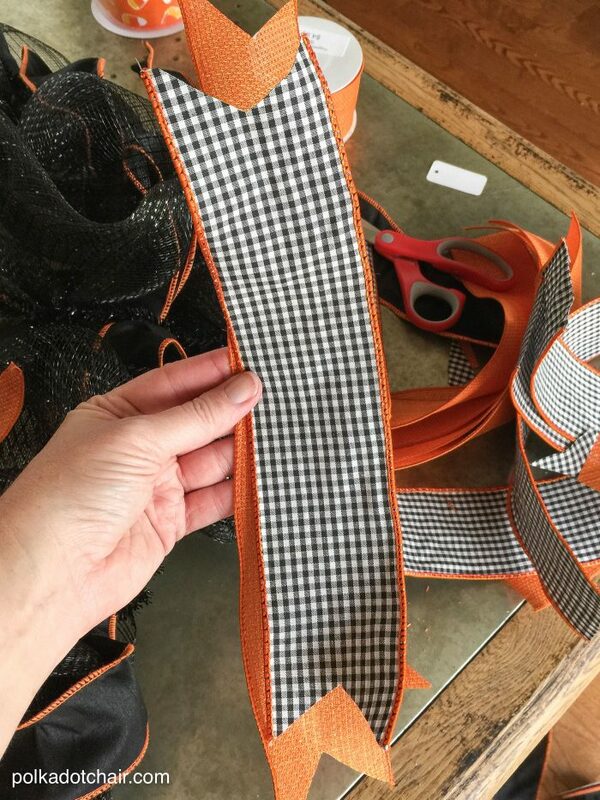 You can leave as much or a little geo mesh in between the twist ties as you like. 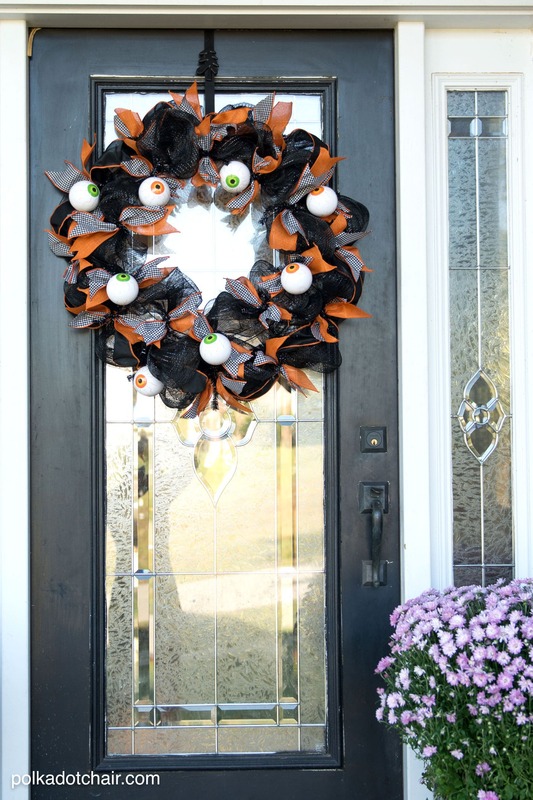 Keep going around the wreath form until you’ve covered the entire top row, then move on and cover the bottom row. 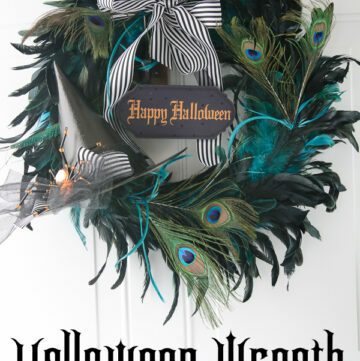 Now you’ve got your wreath form, you can embellish it as you like. 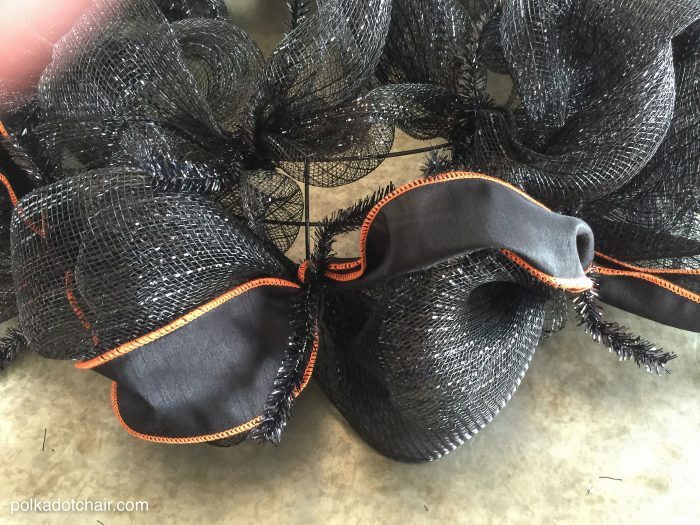 I added black and orange ribbon to the outer circle of the wreath (using the same method that I used to attach the geo mesh). 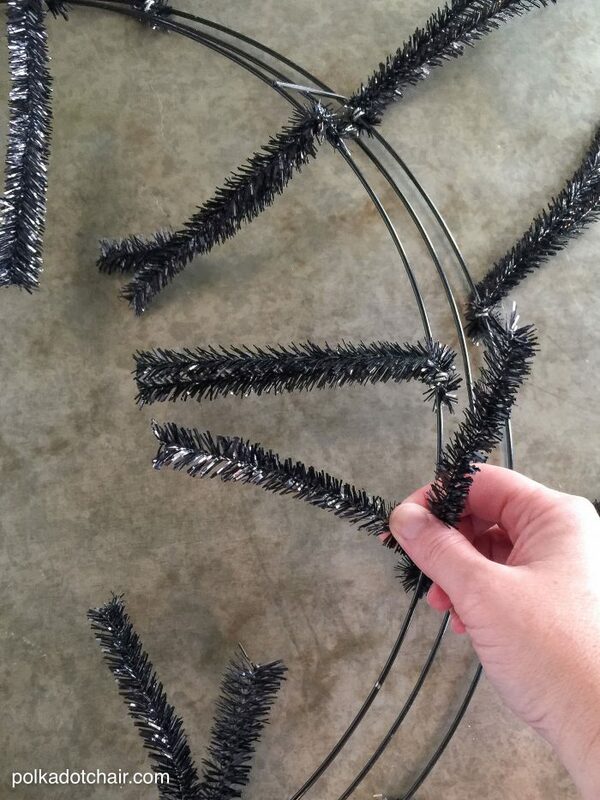 I then cut 2 ribbons into 6″ strips and clipped the ends and tied them into the wreath using the twist ties. 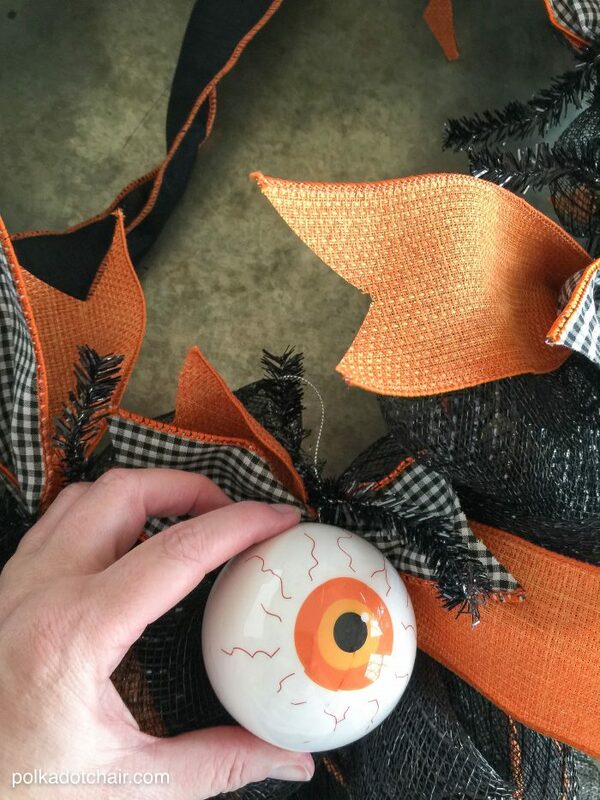 The eyeball ornaments are attached in exactly the same way. 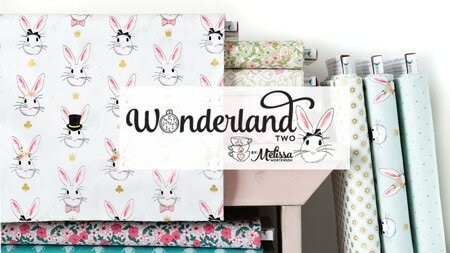 See easy right!?!?! You don’t even need a hot glue gun. 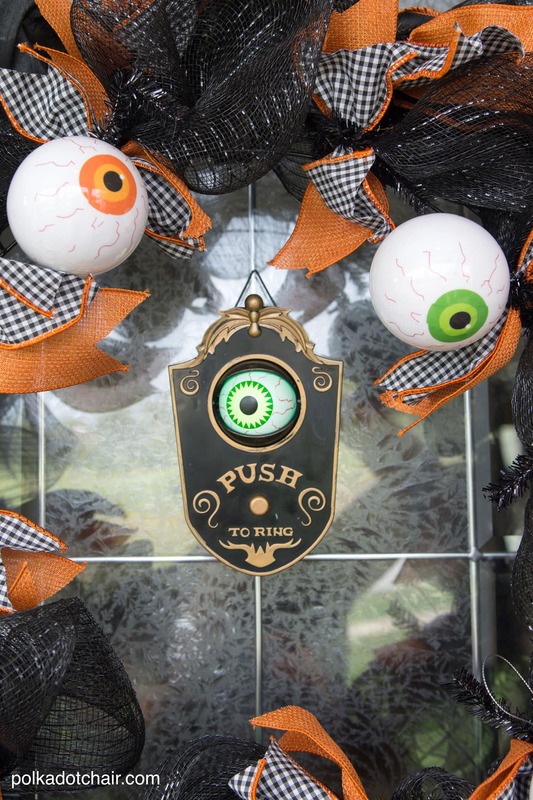 I hung mine on my front door with my new favorite Halloween decoration this eyeball doorbell. 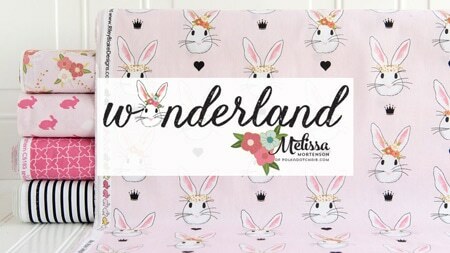 I picked it up at Target, last I checked they had them online too. Thank you so much for the tutorial. 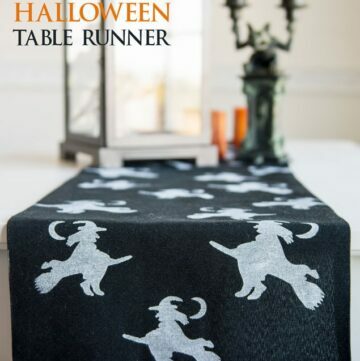 This is a great project for anyone who loves decorating for Halloween! 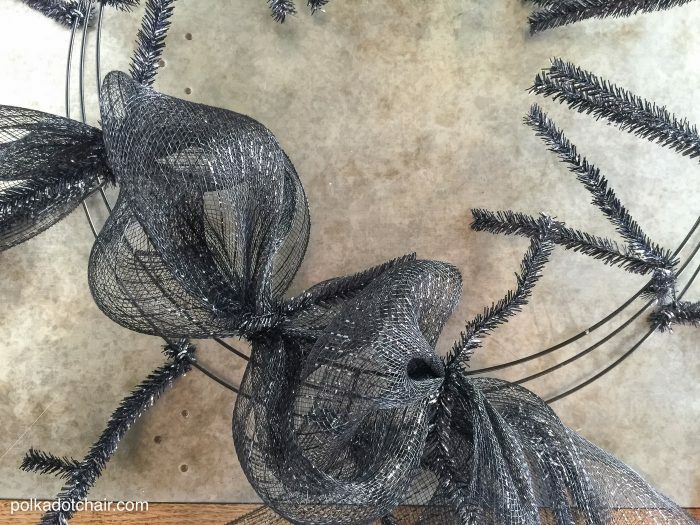 I didn’t know it was called geo mesh and I sure didn’t know the proper way to use the wreathe: I have used one for the framework to tie lengths of Christmas ribbon to; it is awesome in shades of red, white, green, and gold.